The British newspaper The Guardian has reported that the U.S. has agreed in principle to release high-ranking Taliban officials from Guantanamo Bay in return for the Afghan insurgents’ agreement to open a political office in Qatar. If true, this would demonstrate that the Obama Administration is dangerously naïve about the reality of the threat the Taliban continues to pose in the region. It also could reveal that the Administration has no real strategy for achieving U.S. counterterrorism objectives in the region and is desperate to strike a deal with the Taliban in order to justify its troop-withdrawal plan. A few days ago, the media reported that the U.S. was considering releasing Mohammed Fazl, a “high-risk detainee” held at Guantanamo Bay since 2002. According to the report, a senior U.S. Administration official said that the release of Fazl and four other Taliban members had been requested by the Afghan government and Taliban representatives as far back as 2005. As a former senior commander of the Taliban, Fazl is alleged to be responsible for the killing of thousands of Afghan Shiia between 1998 and 2001. It is a stretch to portray the Taliban’s opening of an office in Qatar as a major concession by the organization worthy of a reciprocal move by Washington. 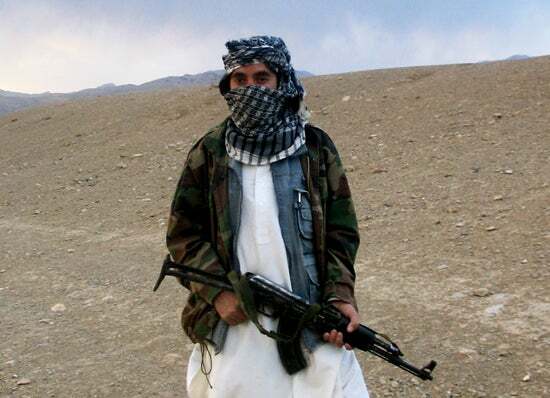 In fact, allowing the Taliban to open an office outside Afghanistan allows the organization to claim international legitimacy, despite its unwillingness to drop support for international terrorism or to commit to participating in a normal political process in Afghanistan. It is understandable that the Administration wants to keep doors open for future negotiations with the Taliban. However, releasing senior Taliban prisoners before the group has renounced international terrorism or shown willingness to compromise is reckless. If the Administration wants to build support on Capitol Hill for such a major gesture toward the Taliban, it must do a better job of explaining its objectives. State Department Spokeswoman Victoria Nuland provided a fumbling response to a reporter’s question yesterday about the actual objectives of engaging the Taliban. Leaving the door open for negotiations is one thing. But handing over the store before there are clear signs you are accomplishing your objectives is not a negotiation—it is a surrender. The U.S. must be realistic about the threat that Taliban extremists and their al-Qaeda allies pose. The Administration should not pin false hopes on a political reconciliation process merely to justify a troop withdrawal. Political reconciliation is desirable, but only if it contributes to the goal of ensuring Afghanistan never again serves as a safe haven for global terrorists. The Taliban’s opening an office in Qatar is not a major breakthrough for peace talks. A genuine breakthrough would be a Taliban denunciation of al-Qaeda and its international campaign of terrorism. There should also be clear indicators that Taliban leaders are genuinely ready for political compromise. The U.S. misread the intentions of the Taliban and underestimated the strength of its bond with al-Qaeda when it sought to engage them before 9/11. U.S. diplomats, acting largely on inaccurate advice from Pakistani leaders, overestimated their own ability to influence decision-making within the Taliban leadership. In seeking talks with the Taliban, the Administration must avoid the same pitfalls U.S. officials fell into during the 1990s that ultimately helped set the stage for the 9/11 attacks. If the Taliban is able to reassert influence in Afghanistan without making the political compromises necessary for peace in the region, the U.S. will not only fail the Afghan people, who have already suffered under Taliban rule, but it will also sacrifice U.S. national security by allowing a violent, anti-Western Islamist ideology to succeed in the region.